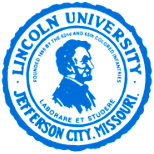 JEFFERSON CITY, Mo.—(ENEWSPF)–January 5, 2017 – Lincoln University of Missouri recently announced the names of students who qualified for the Fall 2016 Dean’s List. In order to qualify for the Dean’s List a student must acquire at least a 3.0 grade point average on a 4.0 scale, with a minimum of 12 credit hours in qualifying course work. Anthony Townsend of Park Forest, IL was one of the students that qualified for the Fall 2016 Dean’s List.